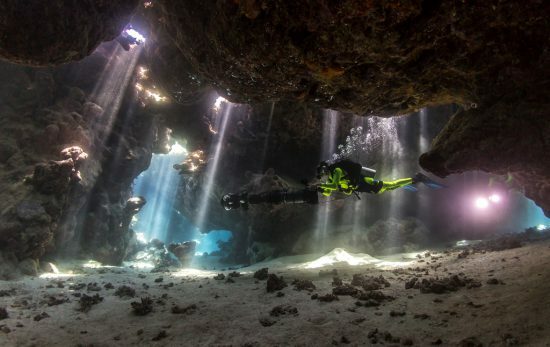 Meet world-class underwater photographer and PADI Master Freediver Instructor Daan Verhoeven. Daan is a former Dutch freediving record holder currently living in Cornwall, UK, where he co-founded Aquacity Freediving. In the world of competitive freediving, Daan Verhoeven is certainly no stranger, swimming seamlessly under the surface capturing athletes’ personal bests, national records, and at times, world records, on one single breath – check out some of his incredible imagery here. 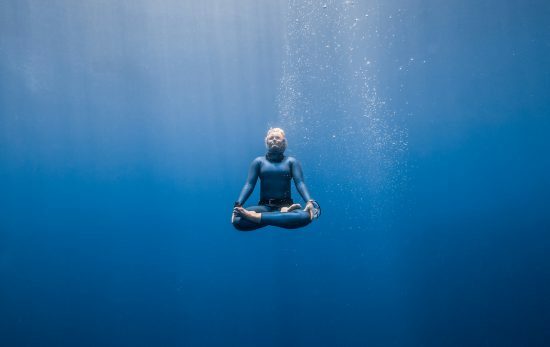 In the run up to the Bristol Blue Freediving Competition, PADI’s Kayeigh Relf spoke to Daan to learn more about his freediving adventures and what it’s like to shoot performances at freediving competitions. 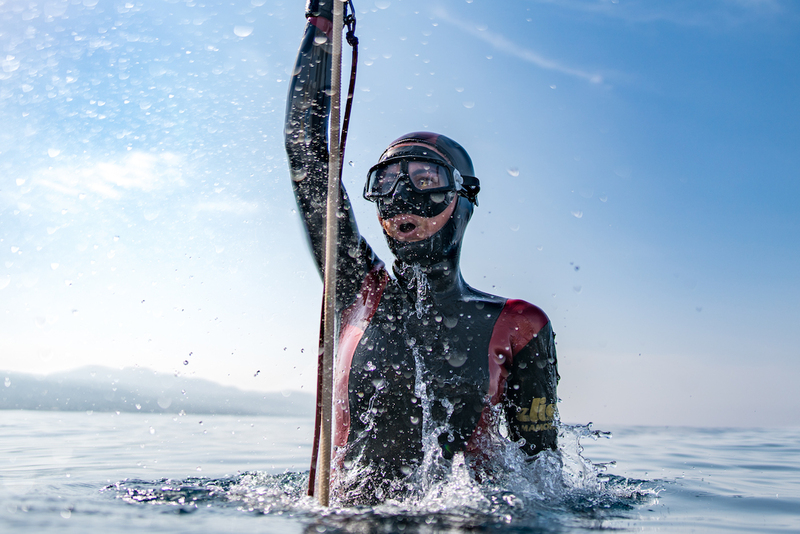 What does freediving mean to you? Flying – in real life it’s as close as I’ve gotten to the dreams of flying I had as a child. 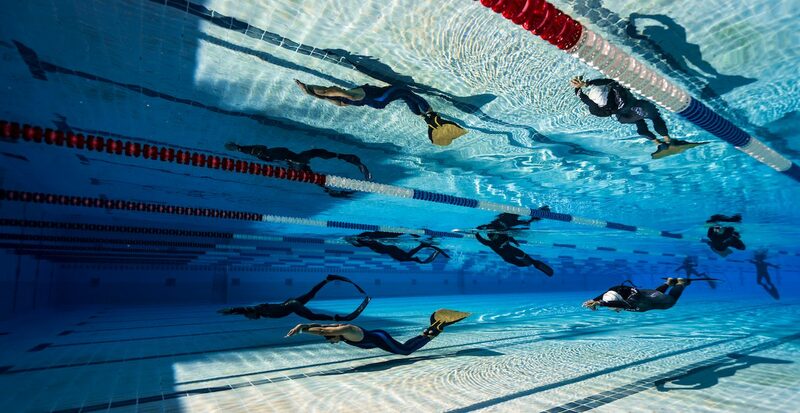 What got you into freediving? I was at a scuba camp in Marsa Alam and they organised a snorkeling trip. A friend and I tried to get our analogue depth gauge as deep as we could and that was thrilling. Then on our way back we swam with dolphins, which made me want to be a better underwater swimmer. Turns out, that was a sport called freediving. When did you first consider photography as a career? At age 19 I applied for photography school but got rejected. I made the mistake of thinking it meant I wasn’t a photographer, so I put down the camera for more than a decade. But then I got a phone with a camera and started playing with that, and then I borrowed a compact, and then a better compact, and then a friend’s DSLR. Finally I bought my own DSLR, messed up a lot and learned a ton and about a year later I was beginning to sell my work. It took me another three years to become full time. Tell me about a “WOW” moment you’ve had? When your eyes naturally seek out beauty and you love life there are many such moments every day. 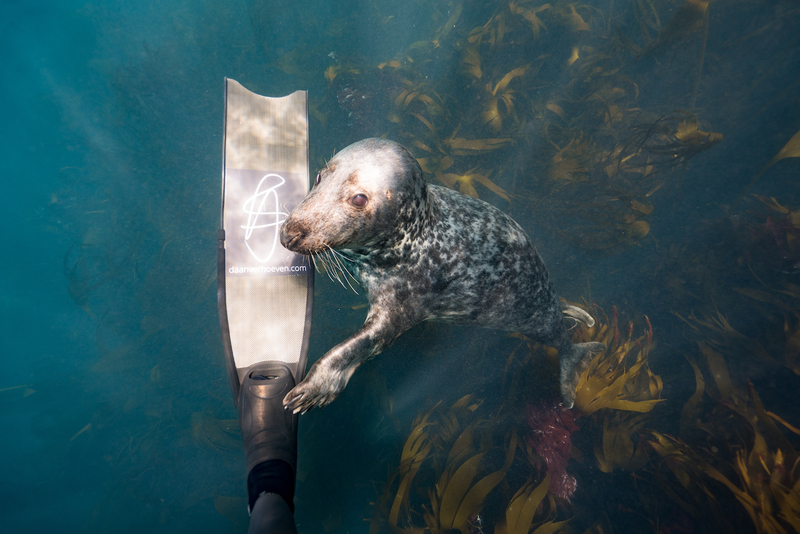 One that stood out this year was when a shy seal slowly started trusting me enough to go from nibbling my fin to fully investigating my dome – he was ready for his close up. I loved every moment of that experience, but when his whiskers touched my dome, that was definitely wow! Is there anything on your bucket list that you haven’t had a chance to photograph yet? My bucket list is longer than the Norwegian coastline and expanding daily. Whales are high up there, shooting a music video (for Peter Gabriel), under ice, orcas, great whites, Y-40, Pinewood, rivers, otters – it goes on and on. 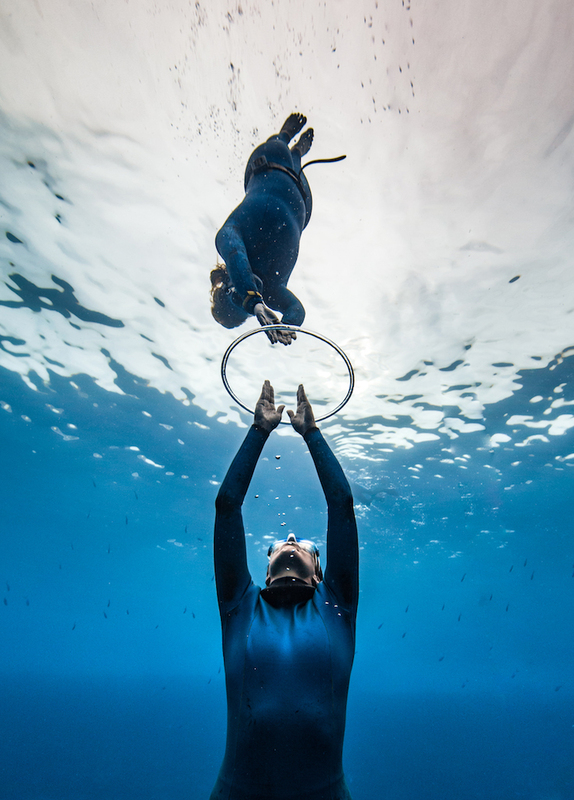 What is the biggest challenge you face in capturing the ‘perfect’ image at freediving competitions? The idea of ‘perfect’ is something to get rid of immediately – which is a challenge in and of itself. Water is the opposite of a studio, you have very little control so you’ve got to go with the flow. A competition has a very distinct flow to it, so if you can switch off your ideas of what it should be and follow your instincts of where you need to be, where the light is good and which angle on the athlete will be good, then you’ll probably be alright. So the challenge is to let go of that idea of perfection and let your instincts take over. On average how many dives do you do on a normal competition day? Two per athlete, usually, one on their way down and one on their way up. So if a competition has twenty athletes I’ll probably do 40 dives. 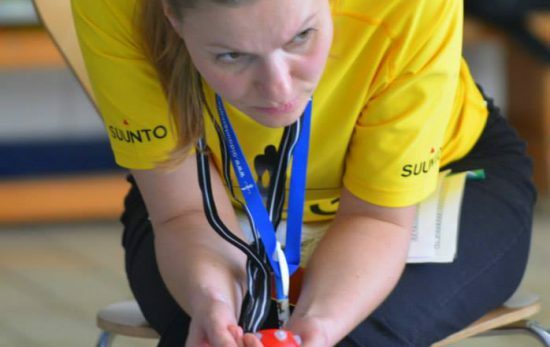 Usually I go no deeper than 15 or 20 meters, so it’s not that hard, but some comps have more athletes or run for several days; those ones I feel in my legs after a couple of days. The most dives I ever did in one day was 83. Any tips for up-and-coming freediving photographers? Shoot wide, shoot raw, shoot lots. Go crazy in your edits. Make time to mess up and play, keep learning. 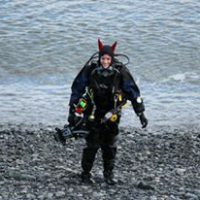 Do lots of safety so you get used to doing a lot of dives and so you know what to look for, and look out for. 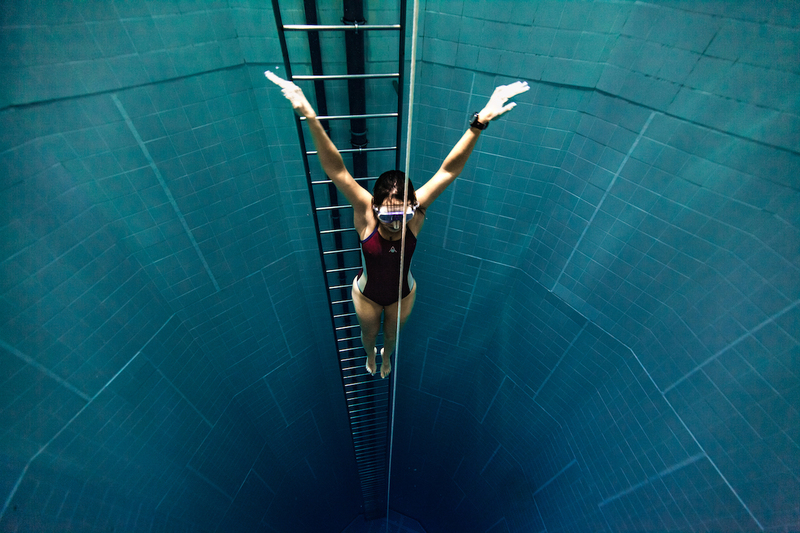 What do you think the future holds for freediving? From a media perspective, I think the drones like Diveye are the future of coverage; finally we can show a deep dive in all its glory. Combine it with good graphics to give it a sense of how deep we’re going, a freediving camera-operator for different angles, and a good commentator, and you have something people will want to watch. As a teacher, I see more and more people interested in the non-competitive side of it, the gliding over a reef or just enjoying being in the water, the freedom of it. I think that’s where the growth is, and I think that’s where PADI is doing the right things, making it less competition-based. As far as competitions go, we’re seeing professional athletes getting better and better. I hope the organisations will catch up – the performances and competitions deserve better logistical support from governing bodies. It would be great if we could all compete under the same standards and rules. 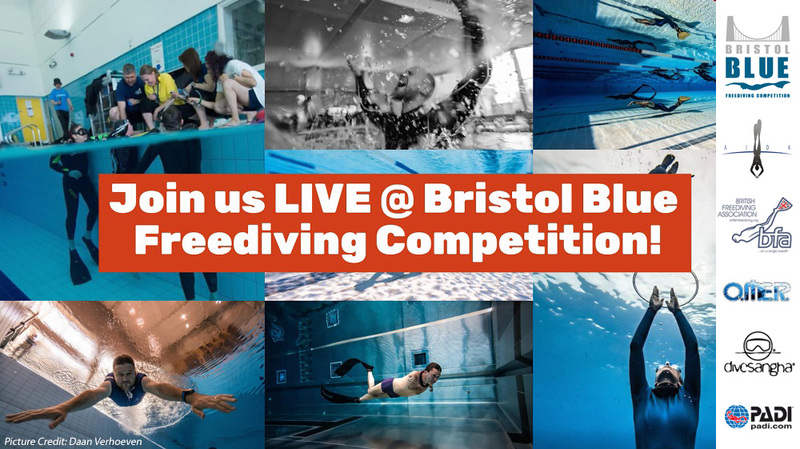 The Bristol Blue Freediving Competition took place on Sunday, 27th November in Bristol, UK. Click here to find out more.